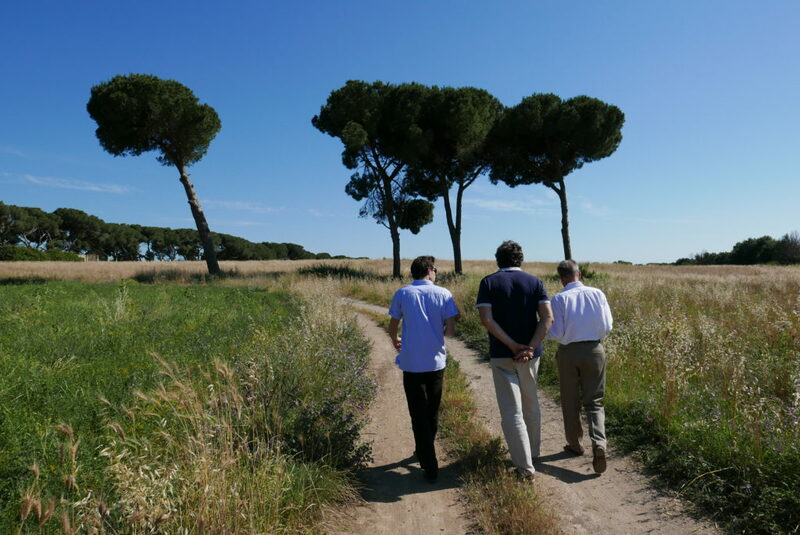 An economist, a landscape architect, and a sociologist were invited by the region of Lazio, Italy, to host a three-day workshop to revitalise a 400+ hectare asset of land in the city of Rome. The land in question has been held up in an intractable deadlock for nearly 3 decades. Our task was to identify a common vision for it amidst a multitude of differing and antagonising positions. To do this, we began exploring a curatorial approach to participatory planning in public space; how can we entwine different forms of knowing, what is our ethic of care, what does a stakeholder meeting-as-exhibition look like? If an exhibition is a ‘knowledge event’ then why not frame or stage the stakeholder meeting as an exhibition? Our first step involved looking at different definitions of curating across a body of literature. We identified a number of relevant themes: a curator as caretaker, which we took to signify a deep interest in the process and outcome of the event; a curator as mediator and translator of different types of knowledge, working with analytical and poetic messaging; curator as meaning maker, framing the event towards transferring significance; curator as narrator across scales, giving attention to the constitutive and constituted narratives, which emerge at the micro-to-macro/ matter-to-meta level, from the individual artefact to the overall message of the exhibition. The three-day event, attended by policy makers, urbanists, representatives of business interests and local initiatives involved working between knowledge worlds and creating passages between individual and collective interests, between rational pursuits and emotional sensibilities. The most significant shift from traditional approaches was the pursuit of meaning-making in lieu of consensus building. Our intention was for participants to leave with a renewed connection with the site and a belief in its potential for the local and regional community. We believed that this was more important and lasting than focusing on finding a solution that was agreeable to all the stakeholders. The role of the curator was to frame and promote individual and collective explorations of multiple types of knowing in relation to the context—from deeply personal to collective, from analytical to experiential. We framed the event as an exhibition, which included a series of artefacts acting as sensorial stimuli, physically situating the participants within a gallery. Analytical discussions, such as using systems thinking to understand the context was paired with creating visual artefacts that represent the discussions—each group established a socio-technical bricolage of images, sketches and even poems to represent their ideas, desires, dreams and future trajectories. These artefacts, we anticipated, would better retain their memories and inspiration from the event than any written policy report afterwards. As curators, we subtly guided the processes with an interest in creating significance around certain themes for particular objectives. Our care for the context led to carefully reframing debates, nudging themes towards our own ideological interest. This is a controversial element, whereby the curator is ideologically present within the on-going negotiation. To avoid overt questions of accountability and transparency we attempted to be clear with our personal interest in the event and our desired outcome. In this case, the curatorial approach for multiparty stakeholder negotiations is a prime example of rethinking the way we engage with singular forms of knowledge. To call what we did ‘curating’ is a stretch, nevertheless, it is inspired by, and borrows from, the curatorial, providing a new mode of engagement that produces meaning and that is rooted in ‘care’. Discussion a curatorial approach for real-world system transitions?